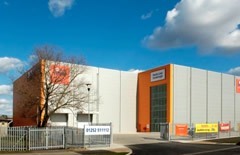 Lok'nStore has self storage centres in many other locations, the closest being Aldershot. From junction 4 (Junction 4 – Lok’nStore) of the M3 follow the signs for A325 Farnborough / Hawley. At the McDonald roundabout take the B3272 exit onto the Hawley Lane. From the A30 use the B3272 Hawley Lane. Our Farnborough self storage facility is managed by Jamie Bridgen, who previously worked at our Sunbury store just up the M3. 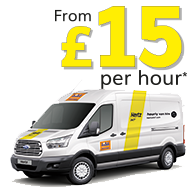 Prices for self storage at Lok’nStore Farnborough are the lowest in the local area. We check our competitors' prices regularly, and then set our prices below theirs. To check our prices 24 hours a day, or to get a quote for your storage at any of our facilities please click on the green 'Get a price' button. Self storage prices do vary depending on the length of stay; when you book and payment terms. Lok’nStore prices include VAT. Covering four floors with 800 storage units it has room to solve any storage problem. With units and rooms available to rent in most sizes including small lockers, up to massive 800 square foot units for mini warehousing – we know that Lok’nStore Farnborough can help you. 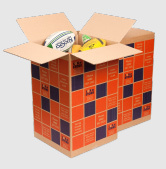 It has two large lifts, covered loading bays and a huge variety of storage units and rooms to suit any storage need. Our Farnborough facility is also home to The Lok’nStore Group head office and Central Support Team. Its location on the Hawley Lane (B3272), right next to the M3 motorway has made it one of our busiest centres and the bright orange building has become a well-known local landmark. Customers come to this centre from all across Hampshire, Berkshire and Surrey including Bagshot, Blackwater, Camberley, Church Crookham, Cove, Crowthorne, Elvetham Heath, Eversley, Fleet, Frimley, Hartley Wintney, Hawley, Hook, Lightwater, Mytchett, Sandhurst, North Camp, South Farnborough and Yateley.